The most common type of window blinds are horizontal blinds, and sometimes called Persian blinds. 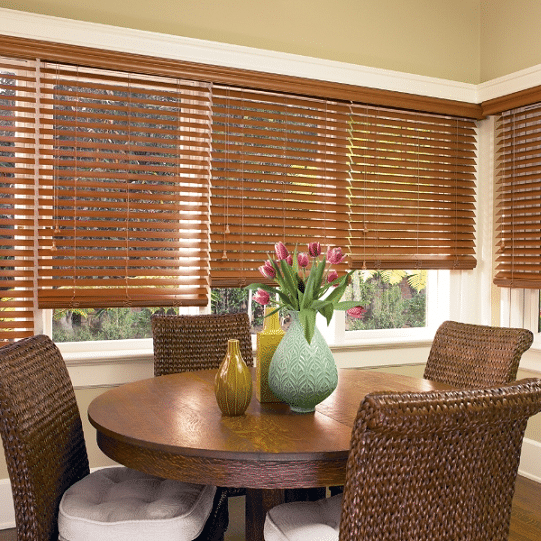 Horizontal blinds provide an incredible value as well as a classic elegance. 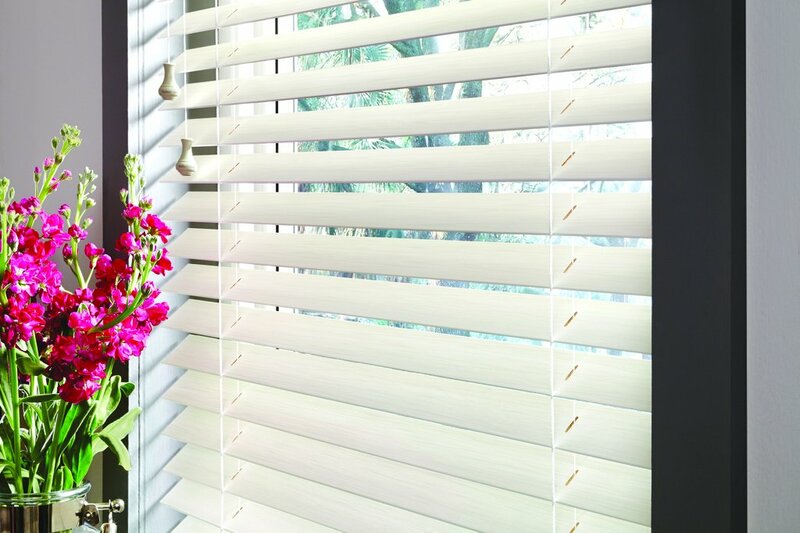 Horizontal blinds are inter-connected with string so that they can be rotated to allow light to pass between the slats, usually rotating up to about 170 degrees for maximum light blockage, or pulled up so that the whole window is unobstructed. Wood Blinds also work exceptionally well with soft treatments like draperies or curtains, and can bring an ambiance to any room. These durable blinds need hardly any upkeep. As long as they’re cleaned on a regular basis, they’ll keep their lovely finish. Merely clean the blinds weekly with a fresh, soft cloth or delicately use the soft brush accessory of your vacuum on the slots. This routine maintenance helps ensure your blinds keep their lustrous color and remain in great working condition for many years. A wide range of stain options and finishes guarantee that you are able to install wood blinds in virtually any room in your home or office. In lieu of stain, go for custom painted wooden blinds that and will complement the colors of your walls or go well with current decor. This tailor made feature provides you with a wide range of decorating possibilities as you transform your house into a beautiful home. Wood Blinds are typically manufactured with louvers between 1″-3” and come in many different wood varieties. They come in a variety of finishes such as durable and high-quality paint as well as texture-rich stains. Besides the customary stained and painted finishes, distressed and faux-finished wood also is available for purchase. Click the button below to and let B&G Window Fashions help transform your home!